Week 3 already as Team Punishment will look to take control away from Team Liddell. Last week, Kyle Noke took the first victory for his team and put Team Liddell in control to choose the next fight. The downside to any possible drama this week is that the news has already broken that Chuck and Tito will not be fighting at the completion of this season. Chuck Liddell will be fighting Rich Franklin as Tito’s replacement. Read more about that at Franklin to Meet Liddell at UFC 115. The episode starts right off with bad news for fighter Chris Camozzi. Chris fought a tough match to get into the house and after complaining of a tooth ache it was determined he had a fractured jaw. To risk any serious injury he was told he had to leave the show. What happens now is that Team Punishment will get to choose who can come back and gain a spot in the house. The coaches voted for Seth Baczynski, so, just like that, bunk up with the comeback entrance into the fighter house. Chuck is in control so when it is time to select the next fight, Team Liddell chooses Brad Tavares to match up against Team Punishment’s James Hammortree. As the teams get back to training, Tito continues to show his dedication to coaching the young fighters by focusing them on their routines and maintaining a team effort to assist each other in advancing in the competition. Both fighters geared up for this week’s match-up seemed very focused in getting further by taking the fight to the other and getting the KO. As the fight kicks off, it is apparent that their intentions are real as they immediately get to the center of the ring and Tavares sizes Hammortree up with some kicks. James Hammortree manages to get Brad Tavares against the cage and then onto the mat. Things don’t stay that way for the long as Brad gets the reversal and holds control of James. However, things switch up once again and it is now Hammortree in control on top of Tavares. Brad Tavares manages to get back to his feet and as they lean against the cage, then down to the mat… the fighters continually alternate control of the other. The back and forth shows how evenly matched the fighters are which makes for an entertaining first round. As round two begins, it is right back to the action as Tavares connects with a nice left as Hammortree comes in. As they end up on the ground, the fighters once again trade dominant position. Hammortree is getting the better of his opponent as he is able to keep Tavares against the cage for some time and maintain top position for the majority of the round. 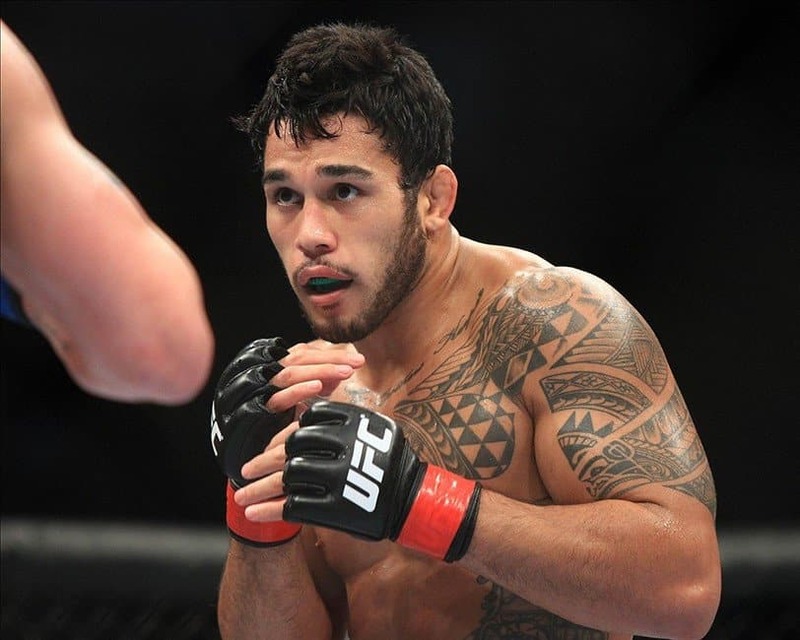 Continuing to try and make something happen from the bottom, Brad Tavares isn’t giving up. At the completion of the second round, Dana informs the fighters it is a draw and we’ll go to a third round. The third starts slow, but after Tavares connects he seems to get a second wind. However, it isn’t long before they are back on the ground with Hammortree on top. Contrary to the first two rounds though, Brad Tavares is able to reverse and maintain top position over James Hammortree and give a little ground and pound of his own. Keeping Hammortree’s left arm locked up, Tavares is able to land some decent blows to the side of his opponent’s head. Managing the clock, Brad Tavares keeps control and runs out any chances for Hammortree to recover. It is always a bad idea to leave it to the judges, but it looks as though Brad Tavares will be victorious. Sure enough, Brad Tavares is announced as the winner by unanimous decision. This puts Chuck Liddell up by two fights and sends Tito Ortiz back to rounding up the team in an attempt to keeping his team motivated. Check back next week when the fourth episode of The Ultimate Fighter 11 will have two fights and a promise of a controversial ending to one of them.